Unboxing! Love From Lizi |November 2018 “Frozen Forest” Card Kit. Hello Folks! Scott here with my unboxing of the Love From Lizi November 2018 Card Kit. This month our color palette is all soft blues and greens and off-whites, and as usual, the kit is jam-packed with all sorts of interesting supplies and embellishments. As usual, we get five sheets of 8.5″ x 11″ card stock. This month we have two sheets of Kraft and three sheets of copic-friendly white card stock. I’ll often save the alcohol marker card and substitute some ordinary card stock from my stash. To round out our card stock stash, we get four half-sheets of A4 specialty card stock this month, including a sheet of acetate and vellum, as well as a white glitter and silver mirror card stock. We are treated to 18 sheets of 6″ x 6″ pattern paper this month with a light linen texture and finely rendered organic patterns. These eight sheets have the same four patterns on different colored backgrounds and can be used as cut-aparts or as simple backgrounds. We get three colors of the foliage pattern paper on the top left, and two colors of the delicate snow pattern on the top right. Finally, there are five sheets of pattern paper that have no alternate color duplicates but still illustrate the ‘frozen forest’ theme. That is a crazy amount of pattern papers included this month! We also get a sheet of stickers and a die-cut sheet of sentiments and tags that feature the icons and images from the pattern papers. Some deer, a fox and bunnies join together with the forest foliage and some nice pops of a peachy orange. Very wintry with just a hint of the holidays to come. One of my regular favorites with Lizi’s kits is her peel off stickers. This month we get these lovely mirrored apple green peel offs. YUMMY! We also get treated to another stencil this month… a ‘Falling Snow’ stencil that measures about 4″ wide by 5.5″ long – just enough for a card front! And that brings us to our stamp set that features another “infinity” stamp. This square stamp of assorted snowflakes can be repeatedly stamped in each and every direction for a seamless pattern in virtually any size you like. There is also a snowflake border stamp that is repeatable, eight individual snowflakes in assorted sizes and two sentiment stamps. Again, winter themed but nothing holiday specific. That brings us to our overstuffed embellishments bag! Along the bottom, we have six ribbons in our kit – three small satin ribbons in white, soft peach and a rose gold / coppery color on top. There is also a darker peach satin ribbon that is a little bit wider and a sparkly silver ribbon in the same width, and a 1″ wide burlap ribbon. That’s six meters of ribbon this month! Then, from left to right and top to bottom, we get six acetate sentiments done in silver foil, five silver star crystals and three mini jingle bells. There are also four wood-veneer tree die-cuts with a star on top. Our “I’ve never seen it before” embellishment this month is these six felt die cuts – three snowflakes and three animals. These pieces are so thick, I originally thought these were foam, but no, these are really thick firmly pressed felt pieces. Very interesting. Though I do have to point out that the white snowflake, having eight points, is not a snowflake, but something more akin to a star… (all snowflakes have only six points). We get two dies this month – a filigree star and a circular die with snowflakes and a stag head. Then we get a large assortment of tags – two small silver glitter tags, two medium kraft tags, two large white tags with reinforcements and twine, and four circular tags in two sizes featuring colors and icons drawn from the pattern papers. Our sample sequin mix this month is the Frozen Fondant mix with lovely soft greens and iridescent blues and whites. Perfectly coordinates with the theme this month! Of course, we do get our full-size bottle of Nuvo Crystal Drops in Wedgewood Blue which matches the greyish blue color of the kit very nicely, and finally we get a full roll of washi tape with ‘Happy Christmas’ foiled in silver on a shiny white background. Other than the “Noel” acetate sentiment, this is the only other reference to Christmas in this kit… I don’t think I’ll be able to avoid making one or two Christmas cards with this kit! This kit is still available at the Love From Lizi shop along with assorted add-ons and another NEW decoupage kit (Festive Friends) from the same artist who did the Beary Christmas decoupage kit last year. 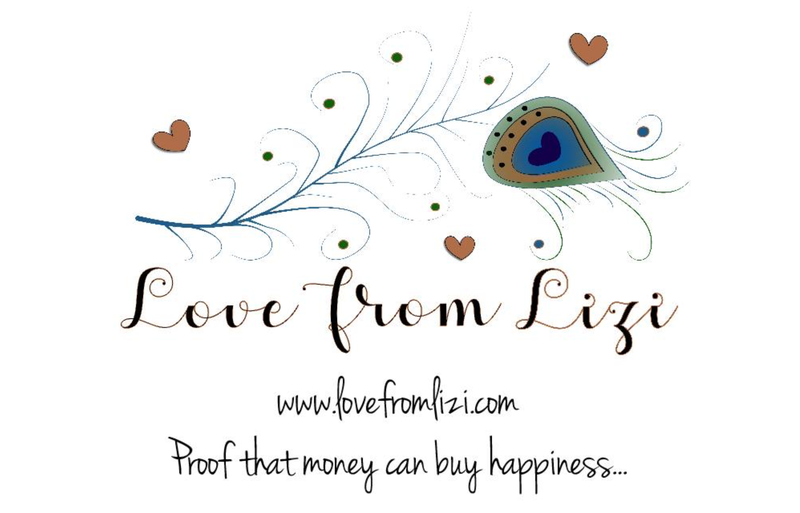 If you are shopping at Love From Lizi, please use my link: http://bit.ly/LFLlink. Thanks for sharing your time with me today, keep an eye out for my 10 Cards 1 Kit video, try to stay warm and toasty, and Happy Crafting! Good Morning Scott! Can’t wait to see what you do with this card kit–just reading through, I’ve already had a couple of chuckles over the Never Seen It Before foam felt shapes, and the snowflakes vs stars. I could use a good laugh since I have trouble sleeping. Post your video soon!!! Thanks Denise! Working on this kit even as we speak! Just posted the MMH 10C1K video for October if you’re looking for more laughs!